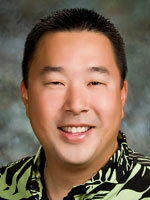 Honolulu, Hawaii — Reid Kondo has been appointed Assistant Administrator for Leahi Hospital. Previously, Mr. Kondo served as an assistant administrator for Hale Nani Rehabilitation and Nursing Center. Mr. Kondo will oversee the housekeeping, laundry, maintenance, dietary, adult-day health and radiology departments of Leahi Hospital. “Mr. Kondo has close to 10 years of nursing-home experience that will compliment our management team. Our employees will benefit from what Reid has to offer, particularly in helping to develop appropriate learning and training tools,” said Vincent H. S. Lee, HHSC Oahu region chief executive officer. Leahi Hospital is one of 13 facilities operated and managed by the Hawaii Health Systems Corporation (HHSC). Established in 1996, HHSC is a public benefit corporation of the State of Hawaii. As the state’s safety-net healthcare system, HHSC continues to fulfill the state’s promise to provide quality, hometown healthcare.